Want to look great during your first dance with your husband? 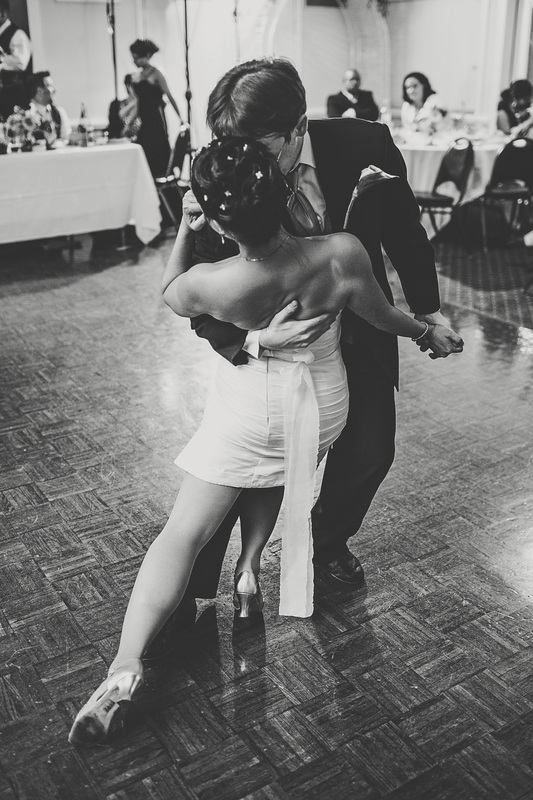 Let our professional instructors help teach you the basics for having a fun, fantastic, and beautiful first dance. We have what you need, whether you want a simple, elegant 'first dance,' a father-daughter or mother-son dance, or even a bridesmaids' or groomsmen's dance. Take a look at our video gallery to get an idea of the different dance styles we teach. Our pricing options can be found below. We have three different Starter Packages (4-, 8-, or 12-lesson packages) available for our wedding couples and families. Give us a call at (919) 677-1909 or send us a message to discuss your options. We can customize a package to fit your needs. * Any student taking at least 2 Private lessons a month can come to any level-appropriate Group classes and the Practice Parties for FREE!